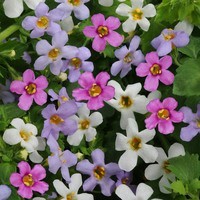 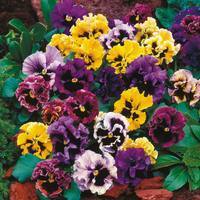 This bedding essential collection is perfect for filling your borders and patio pots or containers with amazing colour. 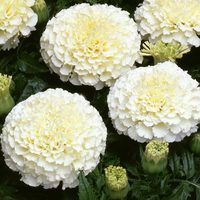 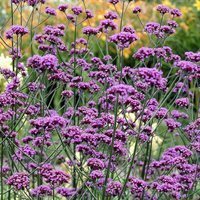 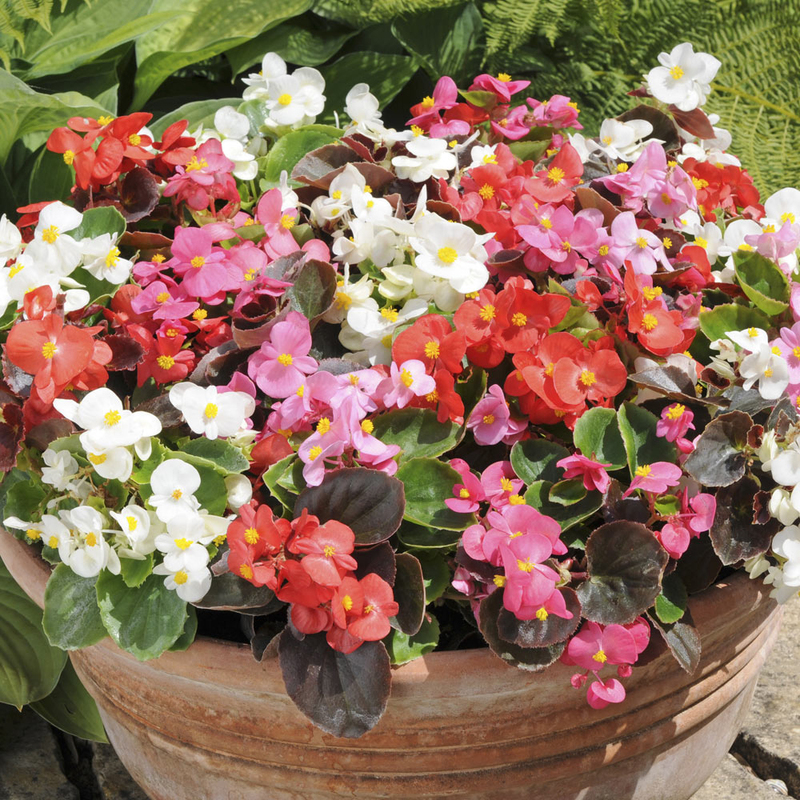 It includes 4 of the most popular varieties of bedding plants that will bring superb colour to your garden during the summer months. 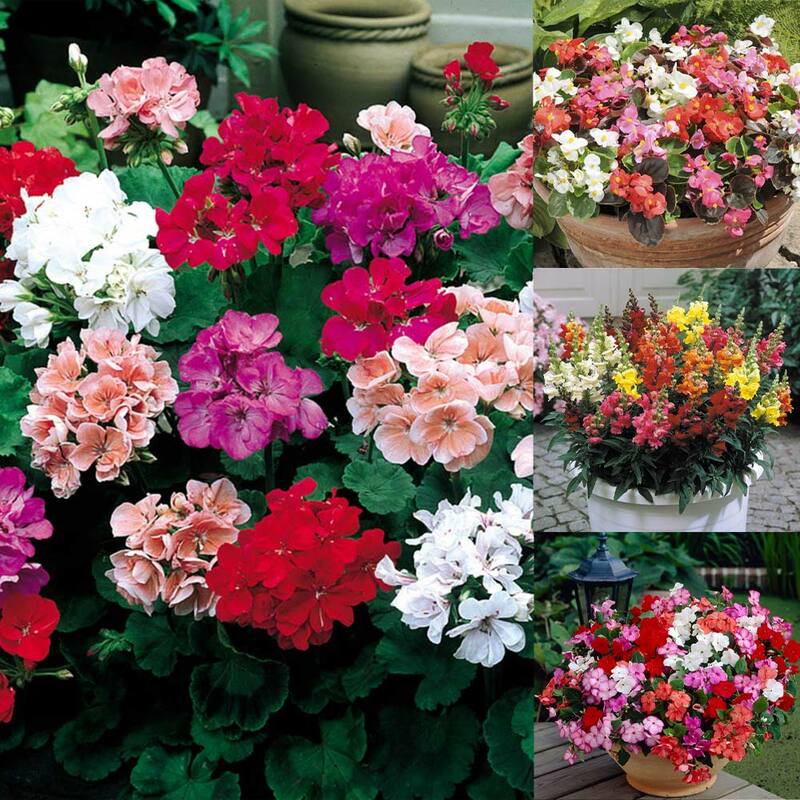 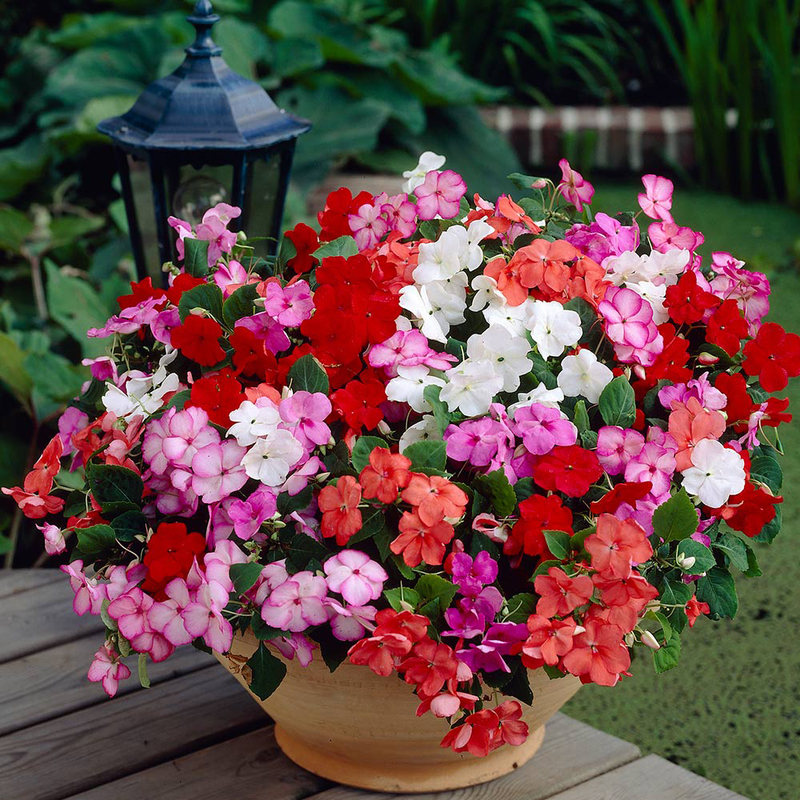 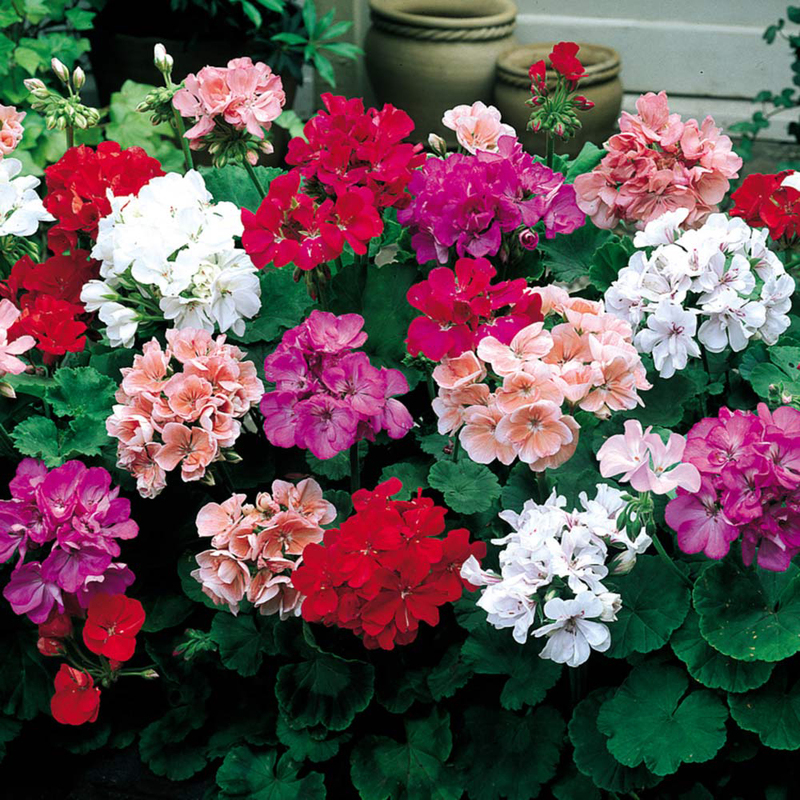 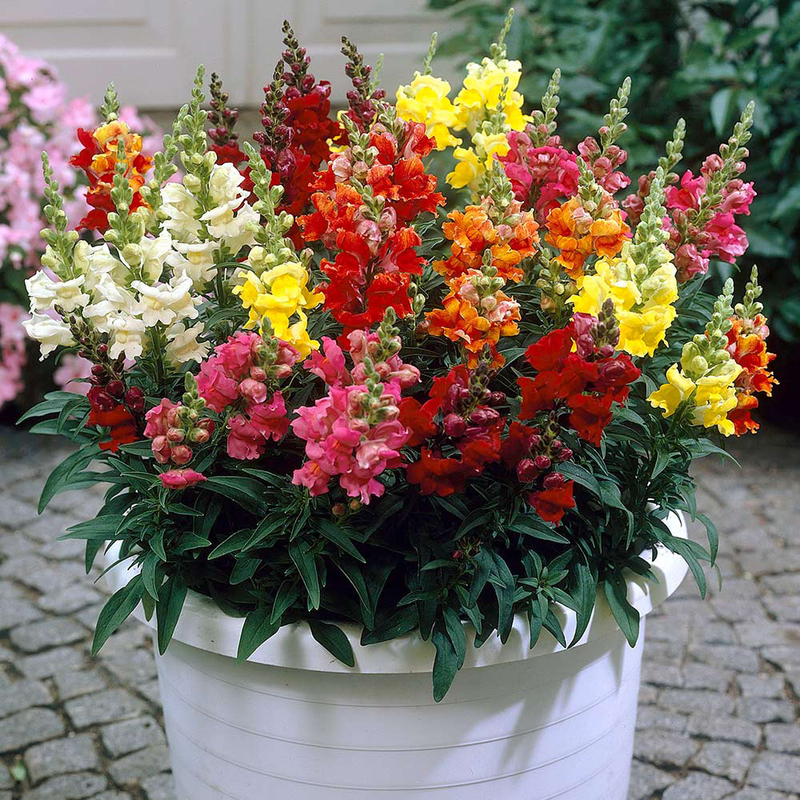 33 each of Busy Lizzie 'World Beater' which flowers in strong colours to a height of 15cm, Begonia Organdy which flowers at height of 20cm in shades of red, pink and white with green/bronze foliage, Geranium F1 which flowers at 30-40cm in vibrant colours and Antirrhinum Liberty F1 (Snapdragons) that flower at a height of 40-50cm in a rainbow of colours. 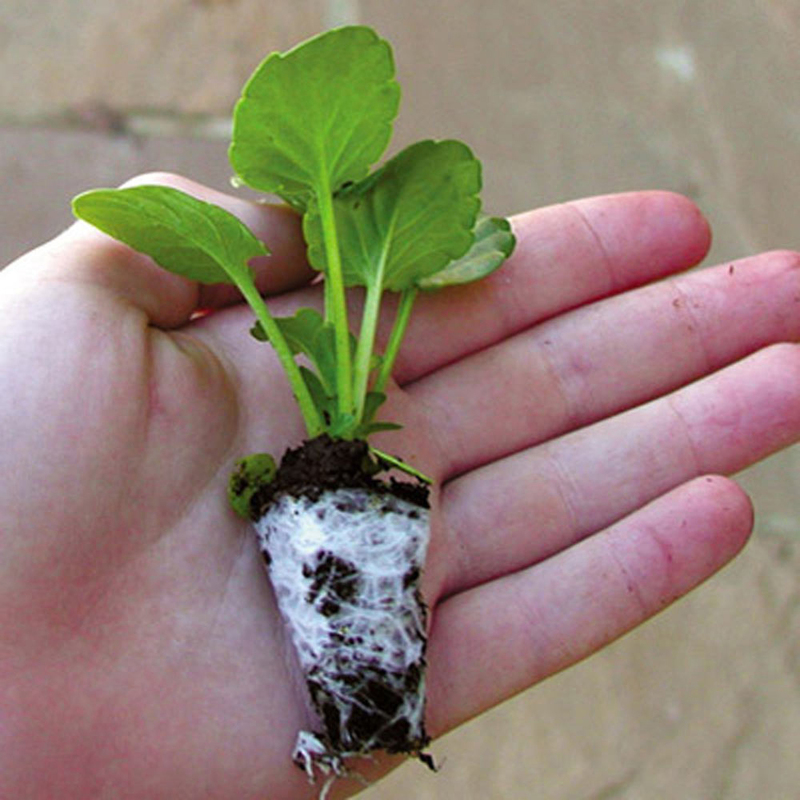 UK grown Maxi plug plants are supplied.